Everyday Hearing > Hearing Aids Center > Will My Hearing Get Worse If I Don’t Wear a Hearing Aid? Believe it or not this is one of the biggest fears people have with purchasing hearing aids. I often get asked what the repercussions of buying a hearing aid and only wearing it part of the time. Well, the technical answer to this is no. If you have hearing loss and you don’t wear a hearing aid your ability to hear soft sounds will not get worse because of the fact that you are not wearing a hearing aid. The gradual progression of hearing loss will occur whether you are wearing hearing aids or not. However, if you have hearing loss and you don’t wear hearing aids, your discrimination of speech is likely to get worse faster than if you were wearing hearing aids. To get offers on the latest hearing aids, or to find out about hearing tests, use our online tool to get a free consultation from a hearing specialist in your area. It all goes back to the “use it or lose it” principle. When you have any degree of hearing loss, you are missing certain sounds that you are meant to hear. The less you hear, the less stimulation that your hearing nerve and your brain are getting. Nerves in our body require active stimulation. If that stimulation is taken away then the nerve stops working as well. The longer the nerve is without stimulation, the less active your brain becomes in processing sound. The part of the brain that processes sound is called the Auditory cortex, and it is similar to your body as a whole; it needs exercise to stay healthy. 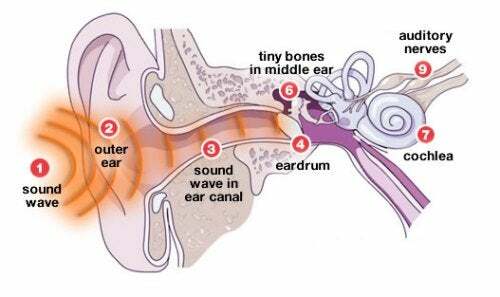 If you are living with hearing loss then your hearing nerve is not getting the amount of stimulation from sounds that it needs to keep functioning well. This can lead to a decrease in your ability to recognize speech, even when you are able to hear it. Wearing hearing aids will ensure that your hearing nerves and your brain are getting the accurate stimulation to keep functioning. The longer you go without wearing hearing aids, the less stimulation you get and the worse your speech discrimination will become. Unfortunately, once the nerve is affected, there is no way to reverse it. So, at the end of the day your hearing will not technically get worse if you fail to wear your hearing aids. But your ears are like any other part of your body and need proper exercise (aka hearing sounds) and stimulation to continue functioning optimally.